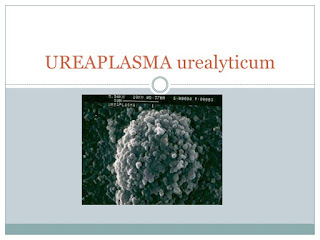 Dr. Christopher Bray MD PhD: Ureaplasma and Mycoplasma ... the stealth sexually transmitted infections? 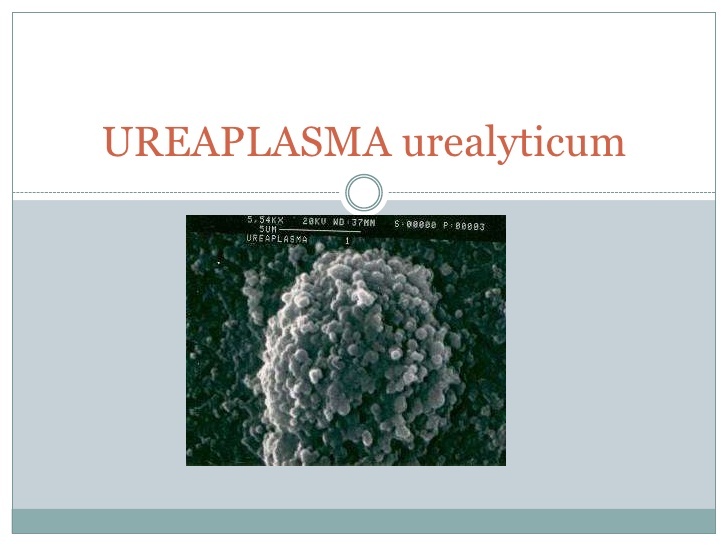 Ureaplasma and Mycoplasma ... the stealth sexually transmitted infections? What are ureaplasma and mycoplasma infections? Ureaplasma and mycoplasma are among the smallest free-living bacteria. Unlike other bacteria however, these organisms lack a cell wall and live inside cells. However, they can also live in cultures outside of cells, similar to the way viruses live. Unlike viruses, though, they can be killed by certain antibiotics. What symptoms do ureaplasma and mycoplasma cause? Symptoms can be "silent" or can cause noticeable symptoms such as discharge, burning, urinary frequency, urinary urgency, and pain. How are ureaplasma and mycoplasma diagnosed? These organisms require special tests and even when these special tests are conducted, it can still be very difficult to isolate the organisms and treat the patient. The tests are not something done by a typical general practitioner or gynecologist. Only a select few antibiotics kill these particular bacteria and the antibiotics have to be taken for many days, weeks, or even longer. Many patients do not take their medications as prescribed; do not take their medications long enough to be cured; or come in close contact with an infected person and become reinfected. It is important to note that the illnesses caused by these bacteria can be acquired in all kinds of ways. As an example, one of the ways ureaplasma can be acquired is through sexual relations. However, a diagnosis of ureaplasma in yourself or your partner does not imply that infidelity took place. There is no way of knowing for sure how or when the organism was actually transmitted to the first partner. What is known for sure is that both partners are treated to help prevent any possible spread and development of bladder problems between the two individuals. How are illnesses caused by ureaplasma and mycoplasma treated? Treatment usually consists of the use of certain antibiotics, out of a family of antibiotics called the tetracyclines or erythromycins. Be sure to inform the doctor if you are allergic to the medication before taking it. Do not engage in sexual activity while you are taking the antibiotic prescription. Take the antibiotic as prescribed and for the full length as directed on the prescription label. This is important to ensure that the organism is fully eliminated. Ideally, the partner should be placed on the same antibiotic as the patient. You should be retested for the organism after finishing the course of antibiotics, which can be done at your local hospital, your local doctor's office, or a lab. At that time, a urine or vaginal specimen will be taken and recultured to determine if the bacteria is completely eliminated from your body. We advise that your partner be tested or retested for this organism. Sometime you may need another round of antibiotic to treat the infection again. Mycoplasma hominis, M. genitalium and Ureaplasma spp. Sabine Pereyre, Pharm.D., Ph.D., Christiane Bebear, M.D., Cécile M. Bebear, M.D., Ph.D.
Xiao J, Ren L, Lv H, Ding Q, Lou S, Zhang W, Dong Z.